Chianti with food – It’s match made in heaven (actually in Tuscany, but that’s pretty cool too). Chianti is probably the most well known Italian wine in the US. But notice how you don’t really see Chianti made by American wine producers. Why? Chianti isn’t a grape Varietal. It’s a region in Tuscany, Italy and – like most European wines – the region is more important than the specific Varietals from which it was made. In the US on the other hand, the grape Varietal is what gets top billing unless it is a blend. If you are looking for an “American Chianti”, look no further than Sangiovese. Most Chiantis must have at least 75% Sangiovese and California Sangiovese food pairing are usually the same as Chianti food pairings. 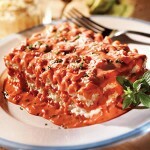 Chianti’s is a perfect accompaniment for lasagna. It’s higher acid level stands up well to Lasagna’s rich tomato sauce and it has enough flavor to stand up to sausage or meat that is often part of a great Lasagna. This rich meat sauce with a tomato and wine base pairs great with Chianti. But when cooking it, make sure to follow one of our cardinal rules about food and wine pairings, which means cook with the Chianti too. Don’t cook with one wine and then serve a different one. This lamb recipe offer a twist on the more traditional herb roasted versions. The spicy rub used to flavor the meat pairs perfectly with the slightly acidic nature of the Chianti. Quick … Where did chioppino originate? If you said “Italy” like most people, you’d be wrong. It was first created in San Francisco by the fishermen who’s diet was pretty much limited to whatever they caught and didn’t sell. Trading with other fisherman for different types of seafood brought variety and in the process, created one of the worlds favorite seafood stews. The brininess brought by the seafood and the tomato flavor are the ideal compliment for Chianti. 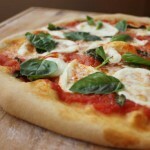 Pair pizza with Chianti for a perfect light and easy meal. 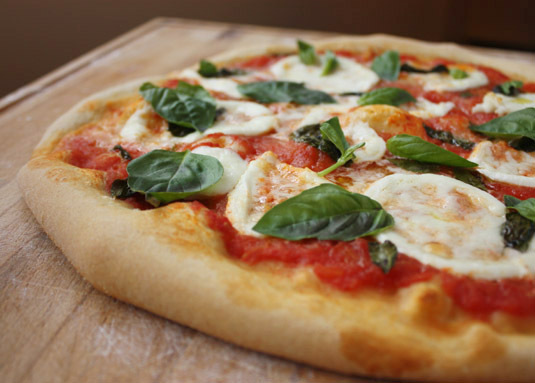 Chianti is light enough to not overwhelm pizza Margherita’s simple flavors of basil, tomatoes, and cheese but its acid stands up to even a strong tomato flavor. Try this recipe on a very hot gas or charcoal grill to add an additional depth of flavor. 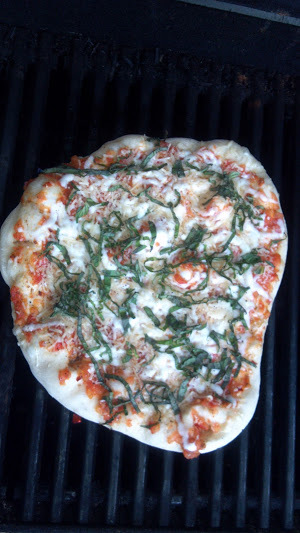 Here’s one that I did on my grill just a few days ago. Be sure to oil first so the dough doesn’t stick. Please, no comments about the shape of the Pizza. I never claimed to be a professional pizza thrower. With the exception of the Lamb dish noted above, everything here has a red sauce because that is what most people chink of when pairing Chianti with food. 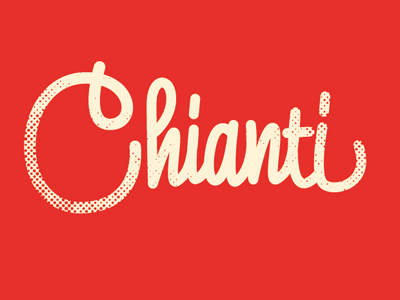 However, Chianti retains a refreshing lightness that is a great compliment for chicken and pork dishes. California Sangiovese in particular is often made in a slightly lighter style than some of the classic Italian Chianti’s, so a lighter meat is a great choice. If you insist on serving a red wine to serve with seafood, a light Chianti or Sangiovese is a pretty good choice. In most cases, white wine is still a better compliment with seafood but if you just don’t like whites, then look to a lighter Sangiovese as a possible solution. Learn more about Chianti – like ideal serving temperature and the ability to age – by clicking here. This will take you to our Sangiovese post but as we’ve already established, Chianti is mainly Sangiovese.